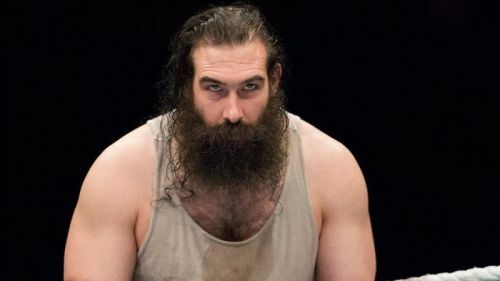 Why did Luke Harper choose to step away from WWE? In this article, I will try and make sense of why this happened and gauge what could have caused Harper to step away from the company. Harper was a lifelong WWE fan and many considered him to be one of the better big men in the company. He could do things in the ring that many men his size cannot. Luckily, there is more than one promotion where one can earn a full-time living as a sports entertainer in today's age. Harper can find success across many a promotion outside the WWE as well. I don't mean it in a derogatory way. Luke Harper said it himself in a statement that he released some time ago regarding his future in the business of sports entertainment. He is 39 years old and he is a family man who loves the business. So, if you consider the fact that he's been cleared for a few months and he's yet to make TV except for a few special appearances (Axxess and WrestleMania, more on that later), and a few Live Events, you know why Harper may have wanted to leave the company altogether. There is more than one avenue to earn a living and Harper may still be friends with his independent wrestling buddies. Other people who've left WWE have gone on to thrive outside the company, from Johnny Impact to Chris Jericho. There is no reason why Harper can't do the same as well. WWE Superstar gets his first name back!